It was just a few months ago the first frost killed crabgrass across the country. While we peacefully enjoyed a weed-less winter, that time is over! Spring is coming, and with that, dormant crabgrass seeds produced last fall will stop hibernating and start germinating. 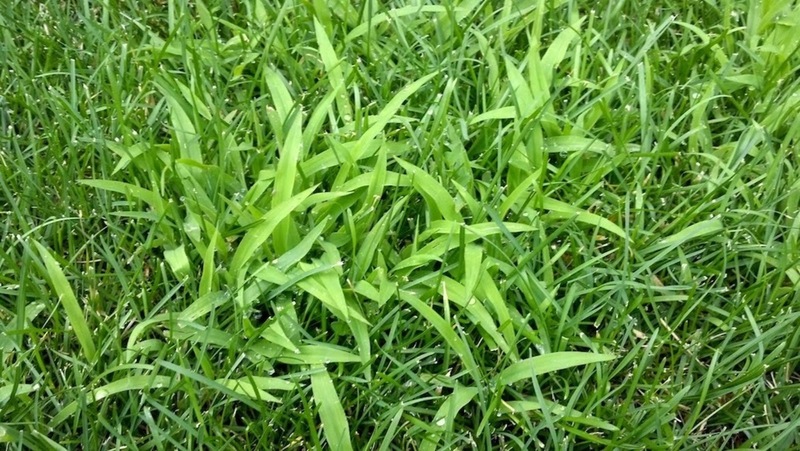 When the ground warms up, new crabgrass will start to pop up, especially in thin or bare areas where the seeds can receive plenty of sunlight. 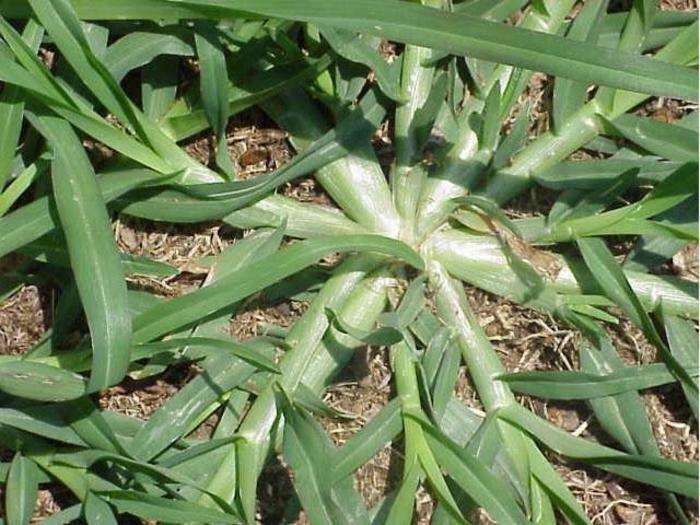 During the warm summer months, the crabgrass will spread quickly. When the days start to shorten, each plant will produce thousands of seeds that will lay dormant through the winter and start the process all over again in the spring. But this year, you’ll be ready. The best thing you can do to protect your grass from the invader is to foster a healthy lawn. A thick, lush grass restricts the amount of sunlight able to reach the soil and deprives the enemy from necessary nutrients to flourish. Then creating a barrier will further prevent crabgrass from taking root. Follow these 4 best practices for a healthy lawn that prevents crabgrass. Keep grass long to shade the ground. Ample sunlight is necessary for crabgrass germination. Keep grass healthy. Grass should be cut no more than 1/3 of the blade at a time and don’t forget to fertilize. Water correctly. While newly seeded grass requires short, frequent watering, your established lawn thrives in 1” of heavy waterings once per week. Fill bare spots. Exposed bare spots in the lawn are inviting to crabgrass so make sure you get there first. For smaller patches, we love Scotts EZ Seed Patch & Repair (everything you need comes right in the bag!). For thin grass throughout, you’re better off overseeding your entire lawn for a luscious grass (if using alongside fertilizer that prevents weeds, make sure you compare labels so it doesn’t kill new grass). Once you’ve given your grass the strength to defend itself, you can aid in preventing the germination with herbicides. While there are both pre- and post-emergent herbicides that you can use, pre-emergent is not only less abusive on your grass, it’s also more effective. We recommend choosing a spring fertilizer that also includes the pre-emergent herbicide in it. This win-win solution will feed your wanted grass and create a barrier that blocks unwanted grass. 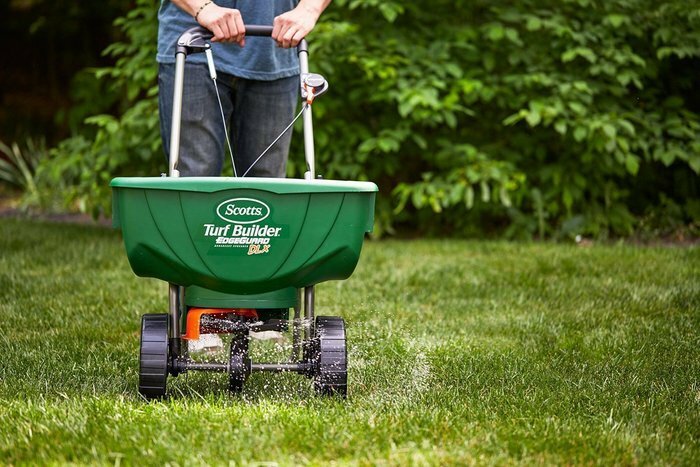 Use a spreader to make sure that it is evenly applied; otherwise crabgrass can find a weak spot to grow and release seeds that will later attack the grass you once protected (the pre-emergent barrier is good for about 50 days). To keep the shield in tact, don’t dethatch or aerate your yard after laying it. The trickiest part about applying the pre-emergent is doing it at the right time. Too early and it will lose potency; too late and it will be ineffective at battling the thousands of seeds already rooting into your grass. If you’re unsure, it’s better to err on the early side, otherwise it is guaranteed to do nothing. When you start to notice shrubs blooming and trees budding, you’ll know it’s time. You will have already mowed the grass two times and should lay it before the third mow. If crabgrass still finds a way to rear its ugly face this spring, you can still prevail! Your first course of action is to pluck them from your yard, but there are times when pulling can do more harm than good so you should resort to a post-emergent herbicide. Although tedious, pulling the crabgrass from the roots can be the best course of action, as long as it’s still young. For example, young crabgrass (identified by it’s 2-4 thick leaves) are perfect for pulling. However, the more mature the crabgrass becomes, the riskier it gets. Immature crabgrass has tight, green, seed heads. While these put up a bit more of a fight, they are still okay to pull as long as the seed heads are tightly closed. If they are open, pulling them will release seeds all over your yard! But the worst yet is the mature crabgrass. Picture the nasty, splayed seed heads in overgrown crabgrass with thousands of seeds threatening to fall at any second. Don’t even look at it! Pulling that sucker will result in ripping out healthy grass too and over 5,000 airborne seeds that would love nothing more than to land in that newly made bare spot. Even post-emergent herbicide won’t work in time on this guy. Rest easy knowing that in the fall the plant will die and you can lay a pre-emergent herbicide to prevent it from happening again. You can try a post-emergent herbicide as a last line of defense. Keep in mind, this is probably the least effective and toughest on the grass, so while it’s not our first recommendation, keep it in your back pocket. Use a hand sprayer to apply post-emergent herbicide to young and immature crabgrass. Again, don’t waste your money spraying mature crabgrass. 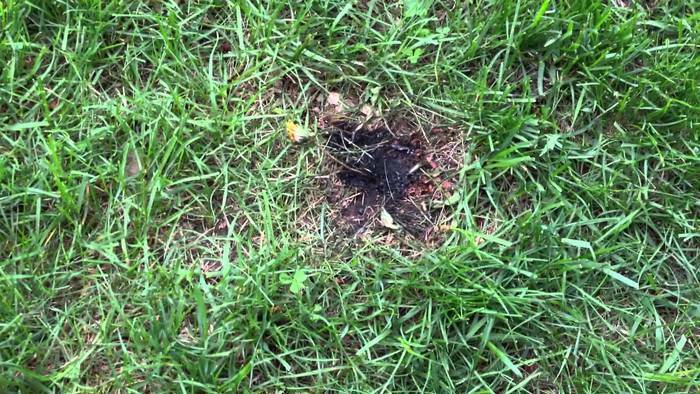 It won’t die any sooner than letting it die naturally in the fall, but might damage your healthy grass. After application, the grass near the sprayed crabgrass may begin to turn brown, which means you probably applied too much. Watering the area immediately will dilute the herbicide and restore the life. Two days after the application, water the area (regardless of brown grass) to aid in the absorption of the herbicide. Young crabgrass will only need one application, but immature crabgrass may require 2 or 3 treatments. Read the label to see when you can spray again as it can range anywhere from 4 – 10 days. 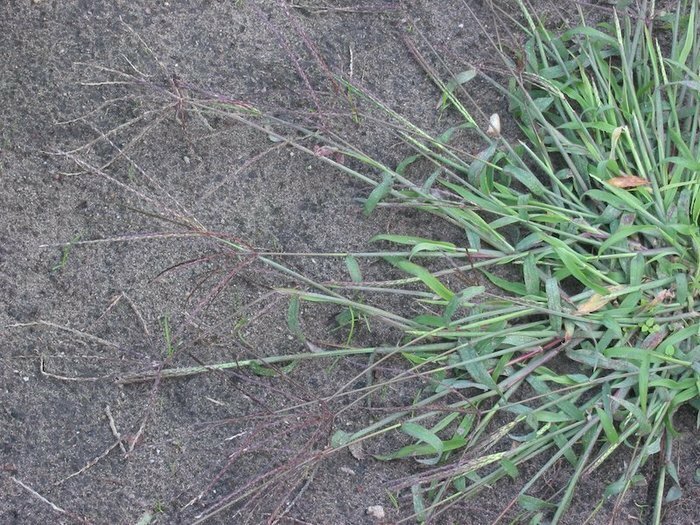 Killing the crabgrass will leave a bare spot for lurching seeds. Laying new grass seed immediately will prevent unwanted grass from taking root again and will add to the strength and health of your lawn. The best time to apply the post-emergent herbicide is the morning of a calm, sunny day. The temperature must be between 60 – 90 degrees to work. The morning dew on the crabgrass has dried while the soil remains moist. As the weather cools down in the fall, the post-emergent herbicide will be ineffective, plus the plant will be dying soon anyway. Regardless of temperature, remember to resist the temptation to spray the heck out of the mature crabgrass, it will die from cool weather before you could apply enough treatments. You're ready - go protect that beautiful, green carpet!